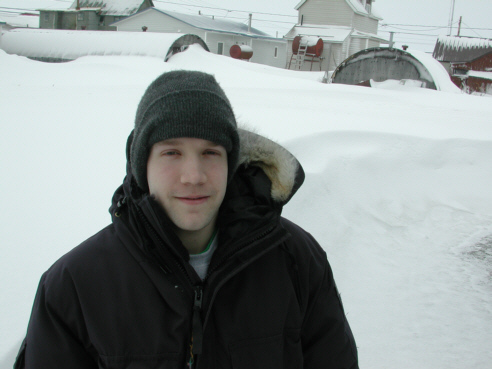 As May began in Nome, we saw several days of melting following the Easter Sunday blizzard. We can expect a few more snowstorms before the final thaw, but there’s no doubt that our short summer is approaching. As you can imagine, we can hardly wait! Thank you again for keeping our mission strong, 24 hours a day. It is you who gives this vitally important radio mission life and health. May God greatly bless you for your generosity. Thank you, especially, for joining us electronically. We're happy to include several images for which we didn't have room in the paper version. JUST “KIDDING”: First and second graders from the village of White Mountain spent a half-hour KNOM volunteer Victoria P in Studio C. The youngsters were among about fifty schoolchildren who visited KNOM in early May. They asked very intelligent questions, and many of them had an opportunity to say hello to friends and family over 25,000 Watt KNOM. White Mountain is a village of 207 souls, about 75 miles east of Nome, nestled among hills and spruce trees. Most of its inhabitants are Kawerak (kah-WARE-ehk) Eskimos who spend the entire summer at remote subsistence camps, hunting and fishing. If you visit a home in White Mountain, chances are you’ll hear a radio playing KNOM. 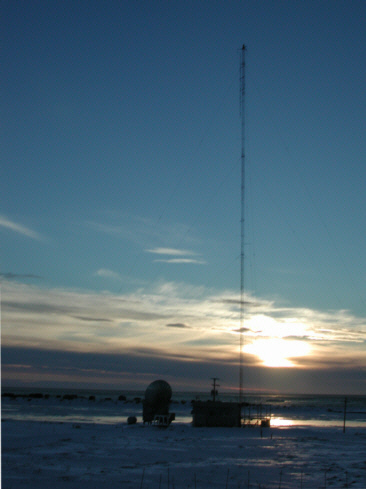 25,000 WATT NIGHTS: The station in Valdez, Alaska that’s next to us on the radio dial has agreed to a test of higher night-time power for KNOM. They are 645 miles away, which is about the distance between Philadelphia and Chicago, and we are confident that we will not cause them any additional interference. We hope to submit an application in June or July. Consulting engineer Jack Mullaney, who met with KNOM’s Tom Busch and Ric Schmidt in late April, thinks that the FCC might grant permission for this experiment within a few months. Please join us in a hearty thank you to Jack, and to attorney Chris Omelas of the international law firm Wilkinson, Barker, Knauer LLP, who are donating all of their time and services. INSPIRATIONAL SPOT: God gives us the ingredients for our daily bread, but He expects us to do the baking. top NEWS HOUND (left): Volunteer, acting news director, Olin Fulmer takes a short break in the KNOM newsroom. You can see the audio editing computer in the foreground, then the mixing console, and at rear, the Associated Press satellite-linked computer, which is the modern day equivalent of a teletype. CITY-FIED: April 9, 2001 was the 100th anniversary of Nome’s incorporation as a city during gold rush days, and the town turned out for several large celebrations. Senator Ted Stevens was in Nome for one day of events. The fun included a parade that was over one-half mile long, with floats, hundreds of children and adults in mining garb and traditional Eskimo clothing, and a junior high precision drill team of snow shovelers. The ceremonies were a lot of fun for the KNOM crew to broadcast. The working script for the main outdoor program in front of restored old St. Joseph’s church included “Speeches by dignitaries -- If we have any.” The town didn’t, which shortened proceedings. The crowd performed “Happy Birthday to You” on kazoos, as 100 red, white and blue balloons were released, and disappeared almost immediately in the arctic wind. TALL ORDER: Our 230-foot tower (left) needs major work this summer. We must replace the “folded unipole” wires which run alongside the tower structure, and a series of insulators, too. Before shipping, the replacement parts will cost $5,960. Including freight and labor, we expect that the project will total about $11,000. Can you help? WILLS: We were shocked to learn that still, one-half of all Americans do not have wills. We urge you to make a will, if you haven’t already, and we ask that you consider including missions like ours. We apply all gifts from wills to major improvements and emergency savings. Thank you! Part of my job at KNOM is to gather and archive traditional native drum and dance music, and then help re-circulate it in the villages. These people are struggling to maintain their identity and their social health in the face of alcoholism, domestic and sexual abuse, and poverty which have ravaged their population over the past century. One symptom, and some might argue cause, of this struggle is the gradual loss of their music and their dances. There are some songs that are lost forever, no one knows them, and no one has a recording of them. They are effectively dead to the world. Part of what I do is study KNOM’s archives of native Eskimo music, try to figure out where it’s from, convert it from fragile reel tape to digital, and insert it into airplay on KNOM. On my recent trip to the village of Stebbins’ dance festival, I brought a tape that a KNOM volunteer had recorded there twenty years ago, with hopes that an elder might be able to help me identify the music’s source and contact. I did find an elder who agreed to spend some time with me, RoseAnna Dan Waghiyi (WAH-hee). It was amazing. When I played this tape for her, she closed eyes and it seemed like she was actually seeing the music. She started moving her hands rhythmically, and moving her head, and a minute into the first song, she began to sing the words softly. I could not understand the words because they were in Yup’ik, but she was in sync with the music word for word. After I stopped the tape, RoseAnn explained what the song was about, and told me that she hadn’t heard it in years. It was no longer performed. All of the elders who had known it had passed away. There was a pause. I said kind of awkwardly, “would you like this tape?” and to see her face, I felt like Ed McMahon must when he knocks on your door with the ten million dollar check. INSPIRATIONAL SPOT: Celebrate yourself. God made you exactly as He wanted you to be. NEVER “KEY-BORED”: You’ll find KNOM on the Internet at www.knom.org. 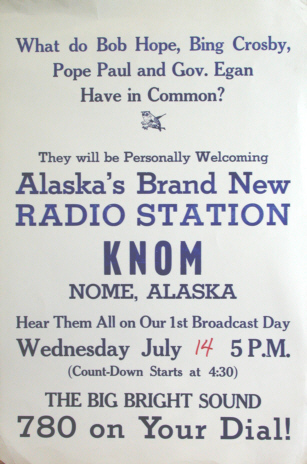 Our home page includes every “Nome Static” since May 1997, with photos in color. Please feel free to contact KNOM general manager Tom Busch with questions or thoughts, or just to say hi. His e-mail address is tbusch@knom.org. 30 YEARS AGO: The mission station was all set to go, when in May 1970, an eerie high-voltage phenomenon occurred, causing antenna conductors to burn up and FCC-required meters to explode. With both volunteer staff and supporters growing impatient, the group assigned July 14th to be our sign-on date, but hedged their bets. A friend at the Nome Nugget newspaper printed hundreds of posters (left) but left the date blank, just in case of real trouble. “Which almost happened,” Tom remembers. 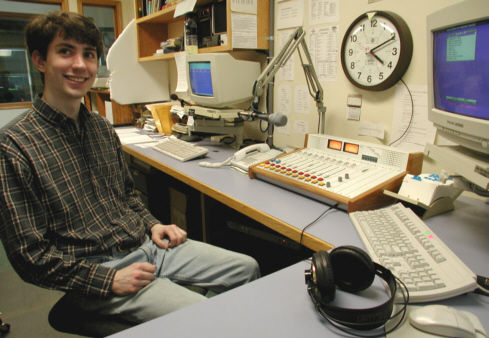 Once more, we thank you for your prayers for our listeners, our staff and our work, and for your financial help, too. We continue to keep you in our thoughts and in our prayers. God bless you! INSPIRATIONAL SPOT: If you go to God with a thimble, you can only bring back a thimbleful.